For a long time, strength training was something most women didn’t do. 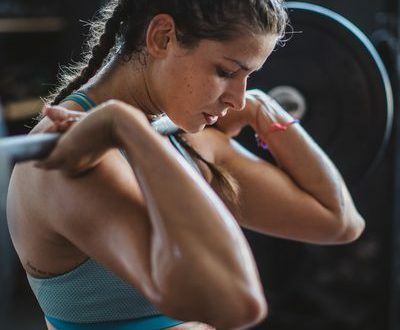 But, thankfully, things have changed, and now more and more women are choosing strength training as their go-to workout. Case in point: The number of women competing in powerlifting — a sport in which competitors have three attempts to squat, bench and deadlift as much weight as possible — doubled between 2015 and 2016, according to industry insider Dave Tate, co-founder and CEO of EliteFTS. What’s more, many women have discovered that strength training is not only enjoyable, but empowering. As a result, communities of lifters have emerged to help other women discover it for themselves. 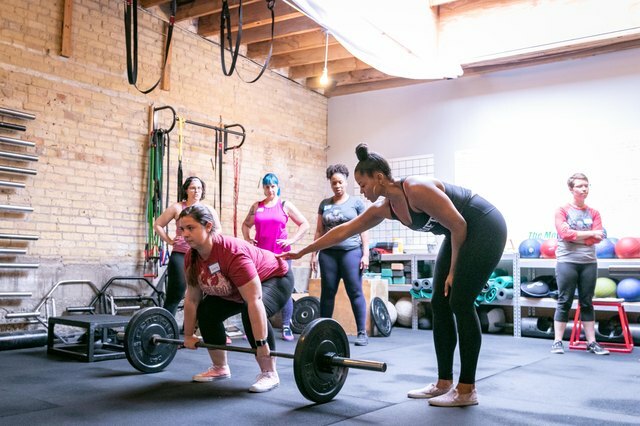 The following five women and female-led organizations are only a small sampling of the strength communities that aim to (and do) challenge stereotypes, inspire others and elicit positive personal and social change through weightlifting. Women’s Strength Coalition aims to reach all women, regardless of their background. Founded in January 2017 in Brooklyn, New York, Women’s Strength Coalition is a growing network of fitness professionals, community leaders and strength training gyms that is committed to making strength training accessible to everyone, regardless of race, income or gender identity. 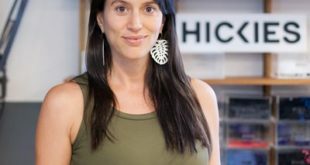 “Our tagline is ‘Strength for all, because we believe that all people deserve to feel strong and safe in their own bodies,” says Shannon Kim Wagner, CSCS, the organization’s founder and president. As Wagner sees it, strength training gives people real physical and emotional power to affect change in their communities. To that end, Women’s Strength Coalition aims to spread this power to the populations that have traditionally been left out of the conversation within both the fitness and the political realms. 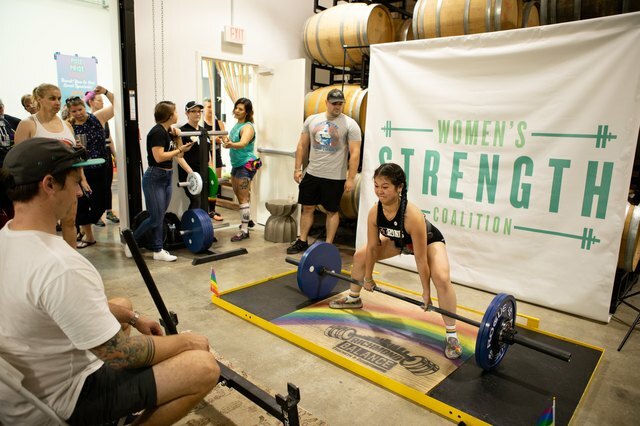 In June 2018, the Women’s Strength Coalition recruited strength-training gyms across the country to host a deadlift competition as part of Pull for Pride, which raised more than $100,000 to benefit homeless youth. It also offers affordable fitness workshops, developing a sliding payment scale to make fitness available for all, and is working to open a nonprofit community center by 2020. 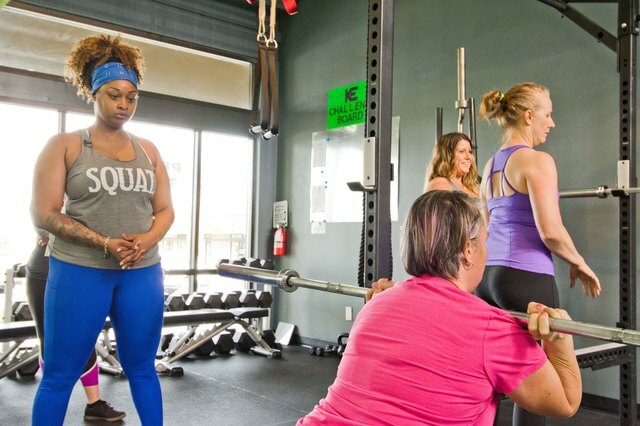 This community center will connect women, combine fitness with mental health services and offer free classes and workshops on topics that promote personal growth. Chrissy King loves empowering other women through weightlifting. Growing up, Chrissy King didn’t really exercise, and she certainly didn’t strength train. When she did exercise, she did so reluctantly and only in the hopes of losing weight. Fortunately, King, now a fitness professional and powerlifter, decided to trust her trainer. Today, the 32-year-old trains other women online and in person in Waukesha, Wisconsin, and spreads her positive messages both in person and through social media. These ladies prove that females are strong as hell. Google the words “fit woman” and chances are you’ll encounter images of women who are primarily young, white, lean and feminine-presenting. As a result, a large number of women feel left out of the fitness conversation or that there’s only one right way to have a “fit” body. This lack of representation is one problem Girls Gone Strong, founded in 2011 in Lexington, Kentucky, aims to address. It frequently — and intentionally — highlights women on its website and social media accounts who don’t typically see themselves represented in the media. 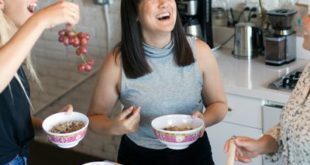 In addition to publishing evidence-based, body-positive articles related to women’s health and social justice, Girls Gone Strong hosts in-person events and meet-ups, offers a variety of strength-training programs and coaching options and moderates three closed Facebook groups to help people share resources and ideas to build a strong online community. More recently, Girls Gone Strong created the Coaching and Training Women Academy, an online portal with two coaching certifications to equip fitness professionals with the tools they need to help their female clients reach their goals, which often requires navigating complex, sensitive topics like body image, eating disorders, chronic conditions and past traumas. Jen Sinkler’s goal is to give women a place to learn and grow. Like many women, Jen Sinkler’s feelings toward her body would vary depending on the day. “It’s really difficult to escape that culture of self-hatred, since we’re all so steeped in it,” says the strength coach, fitness educator and writer based in Philadelphia. But the 39-year-old also considers herself lucky to have discovered the “body-love loophole” sport of women’s rugby. (She spent 13 years playing rugby, many of those on U.S. national teams.) “In rugby, there exists a position for nearly every body type, and it’s a truly special, subversive culture in many ways,” she says. Now Sinkler wants others to have a fun, healthy experience with fitness. She wants everyone to be able to explore strength and exercise free of the expectation that they need to do it before they can wear a bikini. To that end, Sinkler provides personalized coaching, a variety of strength programs to address different fitness goals (muscle growth, athleticism, strength, general fitness) along with an extensive — and free — library of more than 700 exercise demonstrations. She also offers a workout delivery service that emails short, customized workouts. However, Sinkler is clear that she doesn’t set out to “empower” people: “I side with the idea that women — and other genders who have been oppressed — don’t lack personal power, they lack spaces and places that facilitate learning in a way that expands rather than contracts,” she says. These are just some of the girls of Smart Fit Girls. Chrissy Chard, Ph.D., and Kellie Walters, Ph.D., discovered a problem: Few resources exist to help young girls navigate self-esteem and body-image issues. What’s more, there are few opportunities for adolescent girls to be physically active. There are sports, of course, but those are becoming increasingly competitive, to the point where girls get cut from the seventh grade basketball team. “If we’re trying to build a lifelong love of physical activity, getting cut in seventh grade isn’t a helpful way to do it,” Chard says. So Chard and Walters launched Smart Fit Girls in 2013 in Fort Collins, Colorado. The 10-week after-school program is available during both fall and spring semesters. Girls meet for two hours twice a week, spending half their time on physical activity (mostly resistance training) and the other half discussing topics like bullying, Photoshop and healthy eating. There’s also an intensive one-week summer camp. 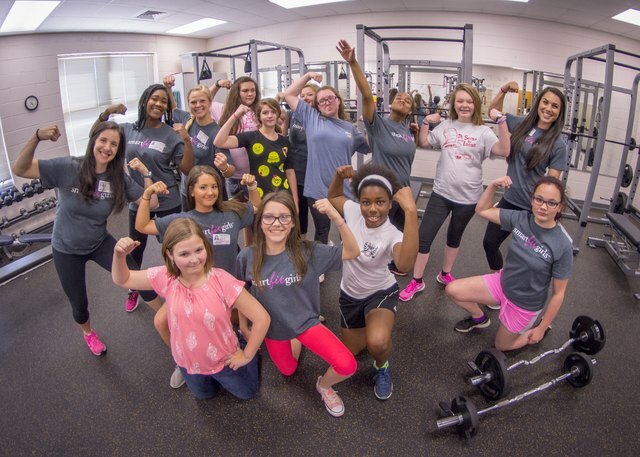 Smart Fit Girls sites currently exist in South Carolina, Colorado, Alaska and Wyoming, but they’re also recruiting high school girls to create leadership councils that tailor the program to their own communities. “Different groups of girls have different challenges around body image and different ways the media gets at it,” Chard says. Have you heard of any of these women and organizations before? What do you think? Are there other organizations you’ve heard of with a similar angle of helping women get stronger physically, mentally and emotionally? Share your thoughts and suggestions in the comments below!